Icing Smiles (Ellicott City, MD) – Artiscend. After complications following the birth of her son in 2004, Tracy Quisenberry left her position as tax director of a Fortune 500 company to spend more time at home with her two children. Searching for ways to create some “homemade memories”, she began making cakes to commemorate special occasions. That hobby would turn into a passion that led Quisenberry to found Icing Smiles—a nonprofit organization that creates custom cakes and treats for families impacted by the critical illness of a child. To date, Icing Smiles has provided over 10,000 orders to families across the country facing cancer and other severe childhood diseases. With over 8,000 volunteers and leadership dedicated to ideals of compassion and service, the organization isn’t just baking and delivering cakes, they’re “baking a difference” and commemorating moments for families who are battling uniquely challenging circumstances. Icing Smiles developmental manager Cher Bork said, “Every day we receive feedback from [people] about the impact we have had on them, their kids and their families. They remind us so often that it’s not just a cake”. Bork joined Icing Smiles back in 2011 after she endured her own battle with cancer. She felt led to give back after her personal experience with managing motherhood and her illness. She already had her own cake business and while researching ways to help out through her bakery, she ran across Icing Smiles. 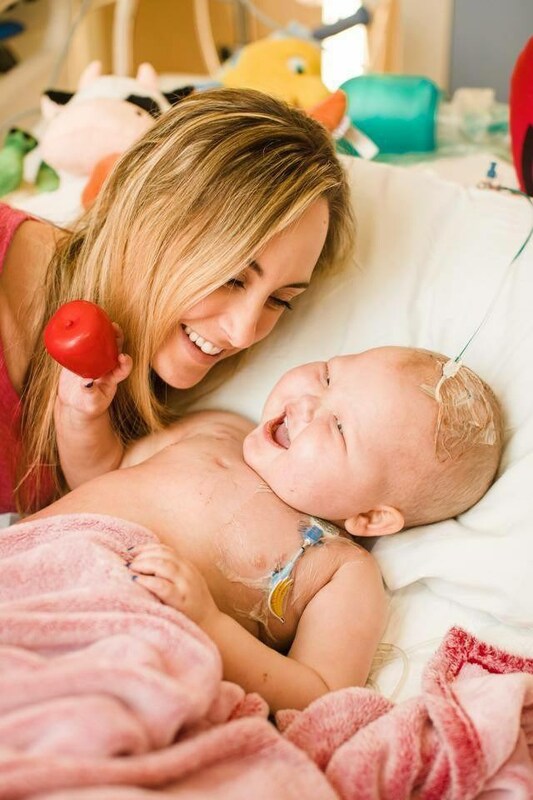 About halfway through their organizational campaign to serve 10,000 families, the Icing Smiles team met 1-year-old Kylie Rowland who had been diagnosed at just 19 months with Stage Four Mycn Amplified Neuroblastoma—an extremely rare form of adrenal cancer. Rowand’s warrior spirit uplifted everyone and the Icing Smiles team was no exception. They reached out to industry leader Kate Sullivan to create an amazing cake complete with models of little Kylie’s “buddies” (her adored stuffed animal collection that lie with her in bed). The Icing Smiles team delivered the cake to Kylie’s bed side and sang Happy Birthday. Although the young warrior had taken a turn for the worse a few weeks earlier, the family was excited and gracious. That’s the legacy that Icing Smiles continues to build on and a testament to the hard work and compassionate spirits they’ve exhibited. As cliché’ as it sounds, many times it is the smallest things that make the biggest impact and as an organization, Icing Smiles continues to deliver small portions of normalcy to families facing extraordinary challenges. For many, they are replacing anxiety, sorrow, and uncertainty with celebration and smiles.